Been over a year in the making, but the long awaited release of the new album by Ohio’s Copywrite has finally arrived. The Columbus based MC first came to the attention of the hip hop world as a founder member of the group Megahertz. His work with producers RJD2, J-Dilla, Cool & Dre, Illmind and early collaborations with Royce da 5 9, Killah Priest, Sean Price and Dilated Peoples soon established his position on the international scene through a series of releases including “The High Exhaulted”, “Ultrasound” and “The Life and Times of Peter Nelson”. 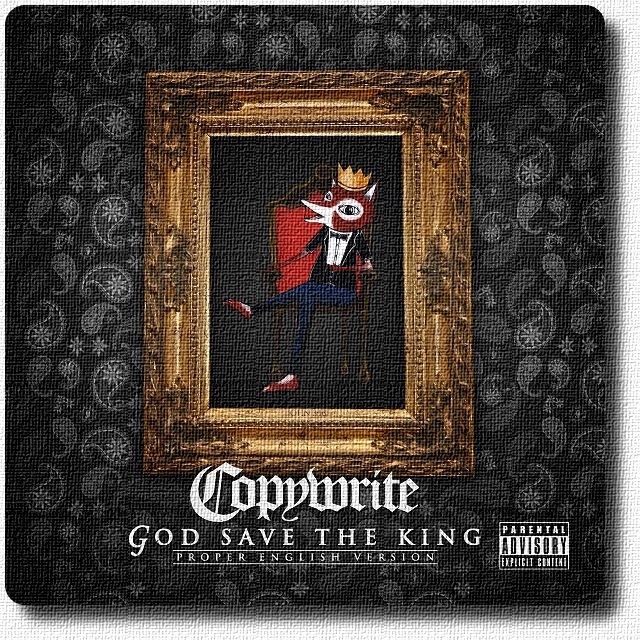 With a reputation as a battle – hardened MC with punchlines for days, and fresh from picking up the “Best Lyricist” title at The Ohio Hip Hop Awards in late 2011, Copywrite has delivered an exceptional album. The title is part inspired by the features on this record with some of the best that the UK and US have to offer standing shoulder to shoulder over 17 tracks. Inspired by previous collaborations with UK artists Rhyme Asylum, Loudmouth Melvin, Skillit and Sam Khan, he began work on what he describes as “his best release to date” from February 2011. The monumental task of constructing an album truly representative of the Trans Atlantic hip hop community would of course take time to complete, but the result has been well worth the wait. Context, Mystro, Genesis Elijah, Iron Braydz, SAS, Bigz Flygerian, Dru Blu, Akala, Melanin 9 & Don Jaga all bring their “A – Game” to the table alongside US heavyweights Royce da 5 9, Killah Priest, Illogic, Crooked I, Sean Price, Casual, Evidence, Roc Marciano, Sonny Seeza, Inspectah Deck and Torae. Also look out for a special rare appearance by the UK’s “1st Lady of Hip Hop”, DJ Sarah Love. Copywrite himself is on top of his game throughout with his unique flow, rhyme skills and metaphors complimented by top production from Kount Fif, Stu Bangas, Marco Polo, Jason Rose, Vanderslice, Bronze Nazareth, Curtiss King, Jaguar Skills and Poetiq Beetz. This is an album for fans of the real deal – lyricists and MC’s of the highest calibre ripping apart hard slamming beats. Copywrite reinforces his position as one of the most gifted wordsmiths around today while producing a record which showcases the true essence of international hip hop music. In addition, a special bonus track “Royal Flush” was recorded featuring Genesis Elijah, Mystro and Iron Braydz. The track produced by New York’s Dub Sonata has an affiliated video which will be released shortly. Urbanelite PR are servicing all forms of media in relation to the release of this specific album, and an initial mailout to a selection of written press was issued today, 5th April 2012.